Last Tuesday around lunchtime, I dropped into the CWA Hall in Robertson Park. What I discovered really moved me. There, right before my eyes was a group of people doing something that, the more I discovered about what was happening, really blew me away. I’d love to tell the full story, but I can’t. Many of those involved simply don’t want any publicity, and although not surprising, that makes the story all the more impressive. Basically, this what I discovered. Each Tuesday lunchtime since May, a group of people have put on a free lunch for between 50 and 80 people, people who for one reason or another, are homeless or find themselves in need or in a situation where they have little other means of getting a decent meal. Staff and volunteers from Ashcroft’s IGA, Housing Plus, Live Better and others give their time freely to serve the meal. The main meals, all of them, are provided, cooked and prepared in a commercial kitchen in a local facility and fully donated. That in itself is unbelievable, and I wish I could tell you who is doing it and what else people from that organisation have done, but they won’t have a bar of any publicity. Trust me when I tell you, it’s the sort of spirit all of us can feel supremely proud of, just knowing that it exists in our community. Local businesses including Baker’s Delight, The Village Bakehouse and Blayney Foods to name a few, all generously donate other food each week. The CWA also donates the hall free of charge. Unlike regular Tuesdays, last Tuesday had a real Christmas flavour with decorations, table decorations, a Christmas tree, a visit from Santa and more. There were even bags of groceries and other items prepared and ready to give away to the guests. Simply amazing! All I can say is a HUGE Thumbs up to all involved! You do Orange very proud. 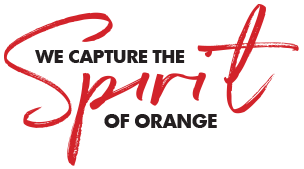 Dec 13 Do it for Orange! Dec 12 Do it for Orange!